It's hard to teach an old horse new tricks, according to a new study by German biologists. Young horses of low social rank, on the other hand, are quick learners -- and they don't mind looking to older animals for instruction. Researchers trained five middle-aged horses to open a box (with snacks of carrot pieces and bread inside) by tugging on a rope or scratching with a hoof. These horses then acted as teachers, by way of demonstration, for 25 other animals. If an untrained horse was older than the teacher, that horse was much less likely to grasp how to swing open the chest. Younger horses more readily understood the process -- and needed fewer demonstrations than their older counterparts, to boot. The fact that horses can learn from each other at all disproves misconceptions about the animals' behavior, the scientists write in the journal Animal Cognition. Young horses can benefit from learning new feeding techniques, particularly when food is scarce. But why might older animals be more stubborn? As they age, horses move up within their group's social hierarchy. 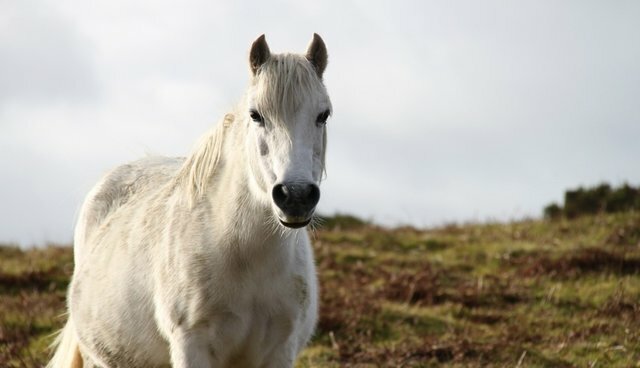 And these horses, unlike younger ones, are less likely to eat new food -- based on previous experiences, an old horse knows that strange food might be "unpalatable or dangerous," the scientists say. To an old animal, flipping open a box might just seem like a younger horse's game.